A build-up of repeat clients plus word of mouth means that our calendar fills earlier and earlier every year. With a quarter century of service behind us, we are looking forward to Year 26 with trips already booked for May and June, 2015. In fact, those two months are booked except for an 11-day window in May. Repeat and new clients have already reserved the last part of April and the first two weeks of September in 2016. 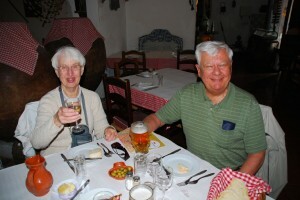 Our clients plan ahead, which makes for a more relaxed and pleasant vacation. If you are interested in starting down the road to your own Trip of a Lifetime, please contact us today. We are eager to meet you and to help you have the best travel experience possible. 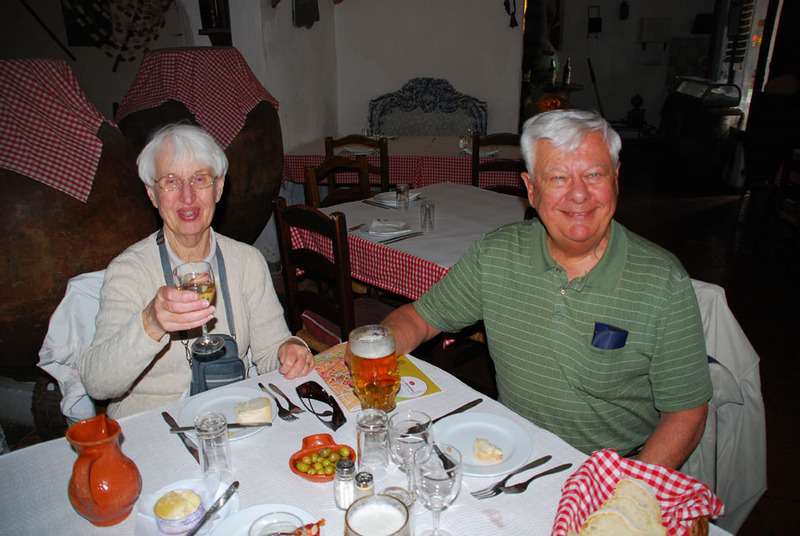 Art and Carol on Day 1 of their 6th trip with European Focus in May of 2014. Their seventh trip is already booked for May and June of 2015. Posted in Europe Tours and tagged 2015, 2016, booked, bookings, calendar, dates, derheim, james, reserved, travel.